The service is now offering complimentary 4K upgrades for supported digital titles in your library. Google has announced several new 4K features and updates for its Google Play Movies & TV streaming service in the US and Canada. Starting today, the company is offering free 4K upgrades for previously purchased titles, along with reduced 4K movie prices and expanded 4K playback support for smart TVs. As part of the company's improved 4K experience, Google will now automatically upgrade previously purchased digital movies from participating Hollywood studios to 4K when available -- even if customers originally bought the title in SD or HD. In order to be eligible for the 4K upgrade, titles must have been purchased or redeemed from Google Play or YouTube. Supported studios currently include Fox, Lionsgate, NBC Universal, Sony (US only), and Warner Brothers. SD titles will only be upgraded if they were bought or redeemed before October 23, 2018. 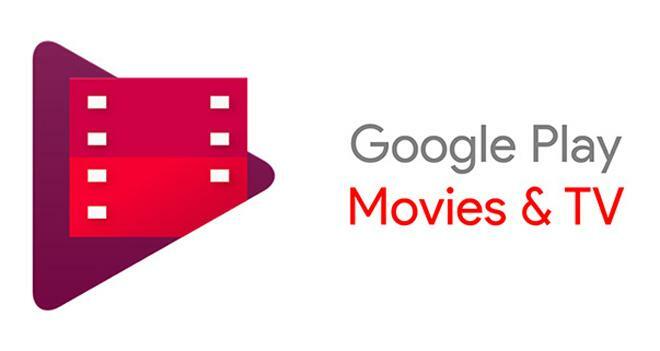 Google will notify users which movies have been upgraded when they open the Play Movies & TV app. Likewise, the platform will continue to add upgrades in the future as more 4K titles are made available from participating studios. And to go along with the free 4K upgrades, Google has also announced a price decrease for most 4K movie listings through the platform. In addition, 4K playback support has also been expanded to cover more smart TV models. Beyond existing support for 4K Sony Bravia TVs, 4K playback through the Google Play Movies & TV app is now available through most Samsung 4K smart TVs, and the company is also planning to add support for LG displays as well. Finally, the overall Google Play Movies & TV app design has also been updated for Samsung, LG, and VIZIO TVs, offering an improved user experience with a more modern look and feel. 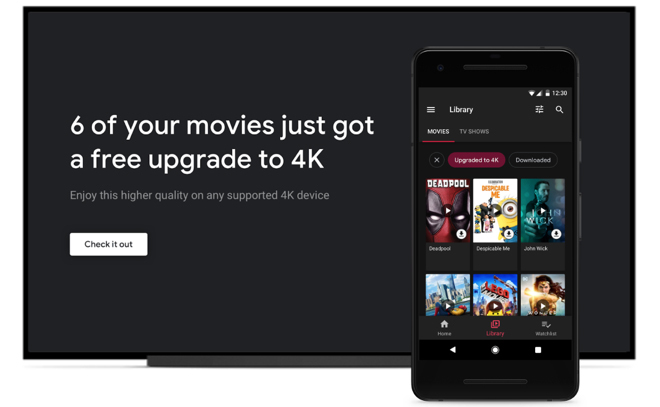 Google Play's free 4K upgrades and reduced 4K prices now place the service more in line with Apple's iTunes platform, which has already been offering similar features for Ultra HD titles. Both services are part of the Movies Anywhere digital ecosystem, allowing users to link accounts in order to sync their movie libraries from supported studios across multiple retailer apps and playback devices. Other participating retailers include Amazon Prime Video, VUDU, FandangoNOW, and Microsoft Movies & TV.